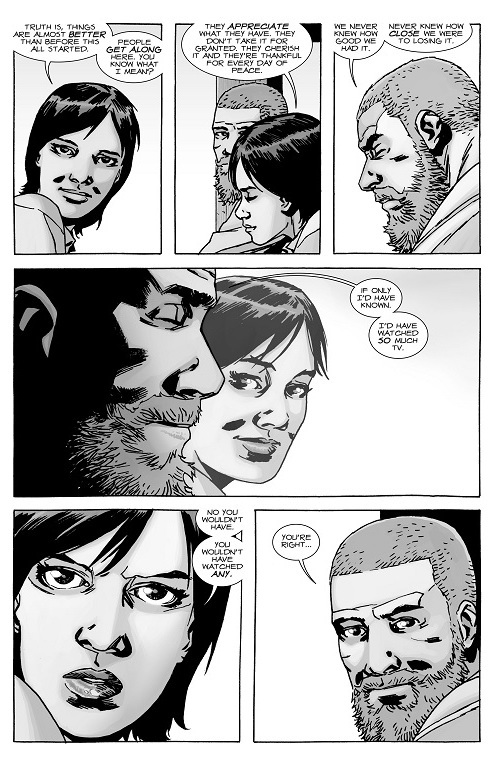 Maggie has a lot of memorable moments in the Walking Dead comic. She continues to be a important character as the leader of the Hilltop Community. 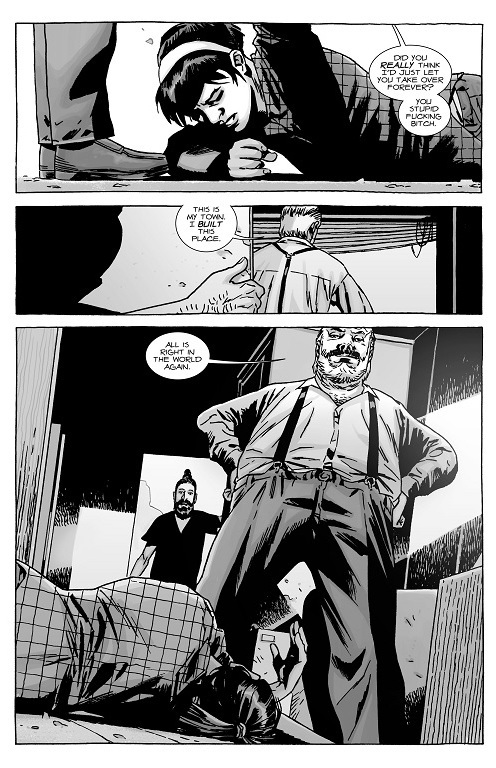 Maggie leads the community of Hilltop during All Out War. Gregory attempts to poison Maggie but he gets the dose wrong. It does kill Maggie and Jesus interupts and saves Maggie. Maggie then executes Gregory.